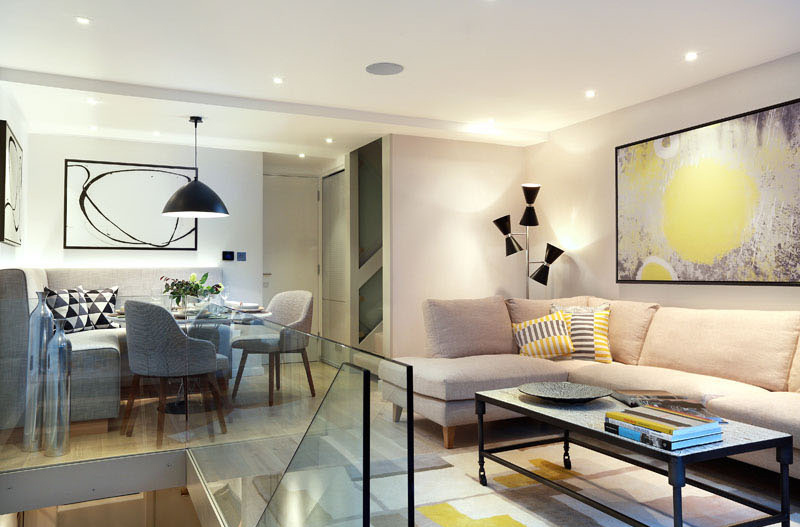 Take a look at what they did to this London apartment. Interior remodels are common especially for apartments, townhouses and even homes that are intended for rental at first but were purchased by those who want to have their own house. When that happens, they would usually incorporate some changes in the house so that it will fit their way of living, their lifestyle and their design preference. Today, we are going to show you a house that undergoes a transformation for its interior. And even if you don’t have images of the space before the remodel, you will surely appreciate the design of the interiors below. A townhouse, which is a project of LLI Design was recently completed. 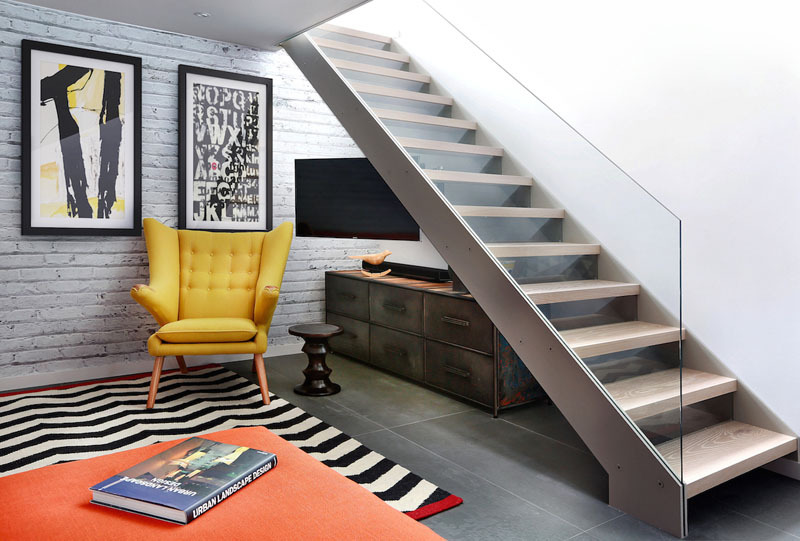 It is a renovation of a four story 1970’s townhouse in Highgate, London. The new owners, a young couple who saw the potential in the home and they wanted to embrace the 1970’s feel in it while bringing it into line with today needs and desires. With that, they added a contemporary glass and steel open tread staircase as well as a master bathroom with a distinctive wow factor. Underfloor heating was also installed and the floor was tiled with a large format Mutina tile in dark khaki with an embossed design. Since the back wall of the house receives no direct light, they installed a distressed painted brick effect wallpaper to create the appearance of texture. Let us take a look at the house below. Unique feature: A beautiful contemporary townhouse interior that made use of eclectic furniture and decorations. There was an existing staircase that led from the lower ground to the upper ground floor. This was removed and replaced with a new open tread glass and steel staircase in order to maximize the lower ground floor space. 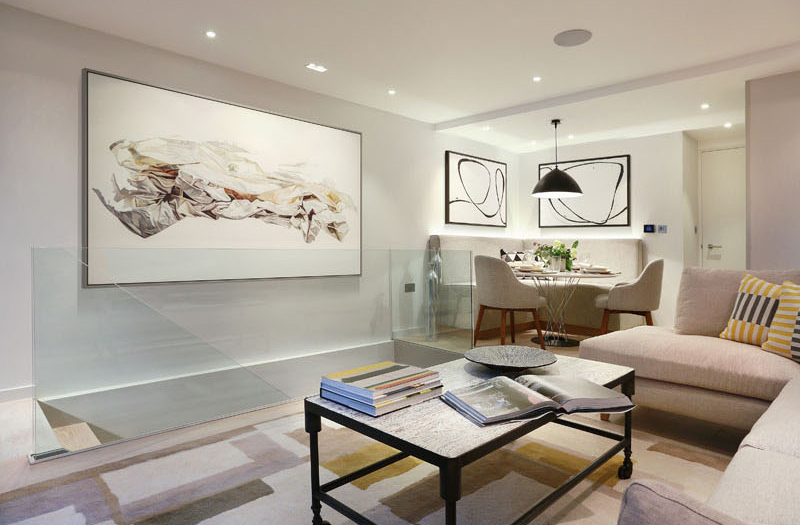 The internal walls on this floor were all removed to create an expansive and welcoming space. On the upper ground floor of the home is the living room. In this space, the owners wanted a sense of calm which was achieved by using color palette of soft cream, yellow, and pale blue with key accent pieces in black. The interior uses colors that aren’t so flashing but it doesn’t look boring at all. Using glass for the staircase railings added appeal to the area and made it look more spacious. 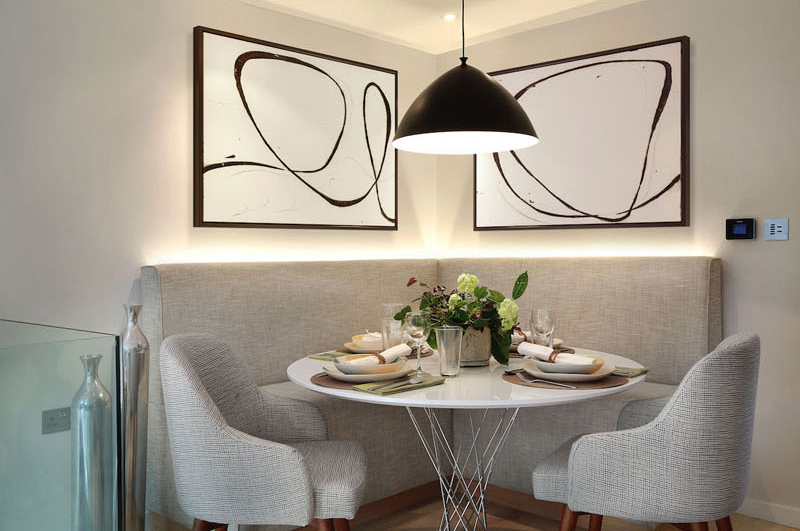 The interior also features a custom designed banquette located adjacent to the kitchen. It is lit from behind with LED strips. It looks more comfortable with a round table and two dining chairs that comfortably sit 6 people. 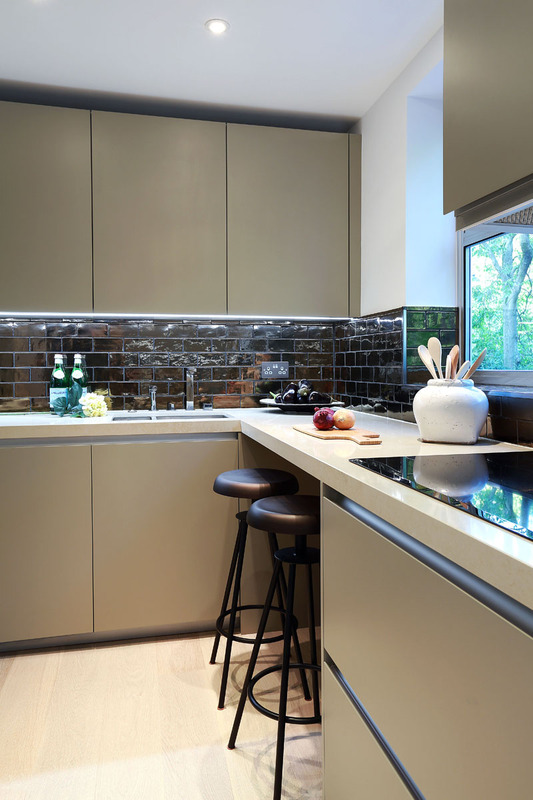 In the kitchen, it has pale khaki cabinetry, cream colored countertops, and dramatic dark bronze tiles. This results into a beautiful make up of the kitchen’s color palette. 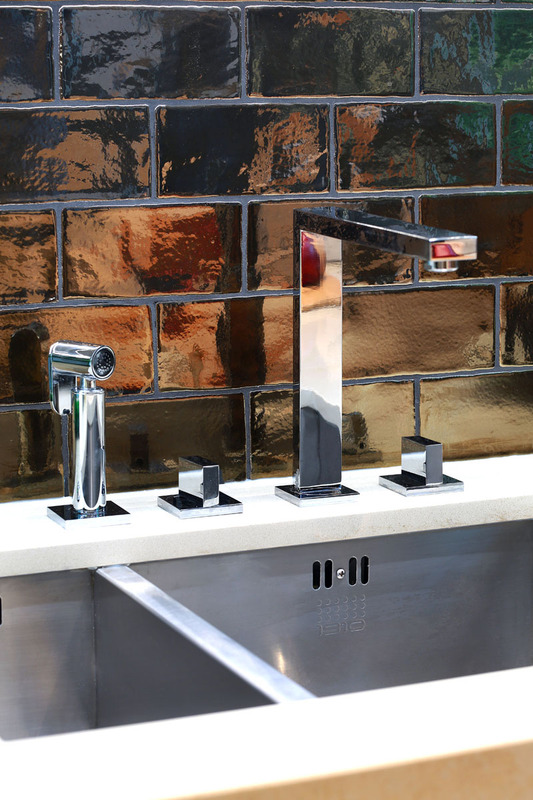 For the kitchen’s backsplash, it used dramatic dark bronze tiles that looked really very nice as it adds sheen to the area. It looks even nicer when paired with the silver kitchen fixtures. 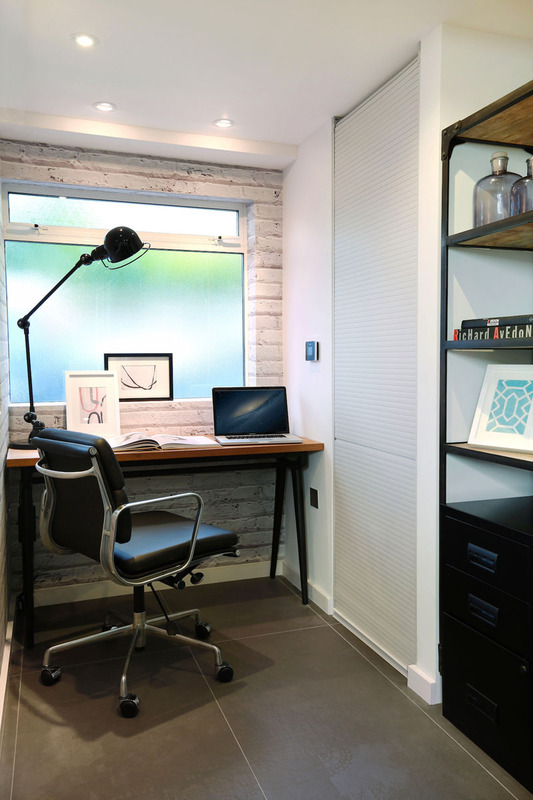 The house also has a small working area with white brick walls. It faces a frosted glass window which, for me, could help one concentrate on what he is doing. On the first floor of the house is the shower room featuring a huge shower. 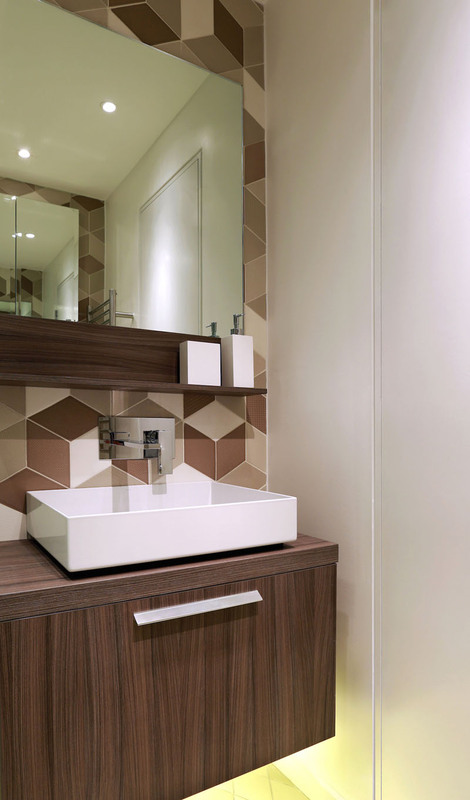 It has diamond shaped tiles in tones of cream, cappuccino and chocolate. An LED under-lit wooden vanity unit and mirror finish the look. On the second floor, one will see the master suite, which was a series of separate rooms. 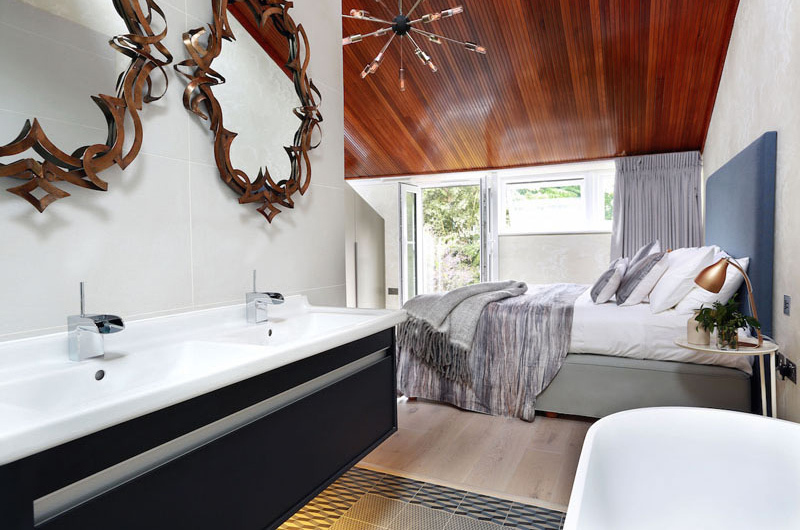 After the renovation, it has been turned into a large open master suite with an open plan bathroom with a freestanding bath. 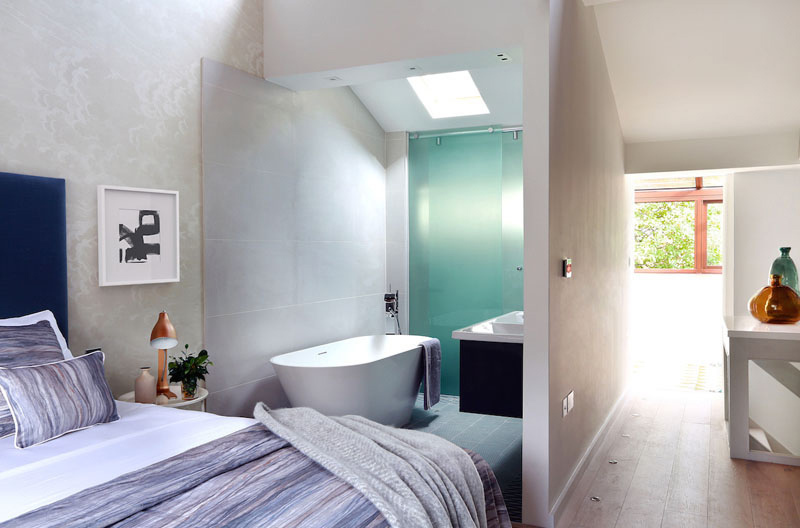 The bathroom is positioned facing the bedroom to allow views of the garden beyond and an opaque glass sliding screen was installed between the toilet and bathroom. It is indeed nice to have your own bathroom in the bedroom! A closer look at the bathroom which features an LED strip under the vanity unit. It also has additional wall lights and small in-floor up-lights around it that completed the look. 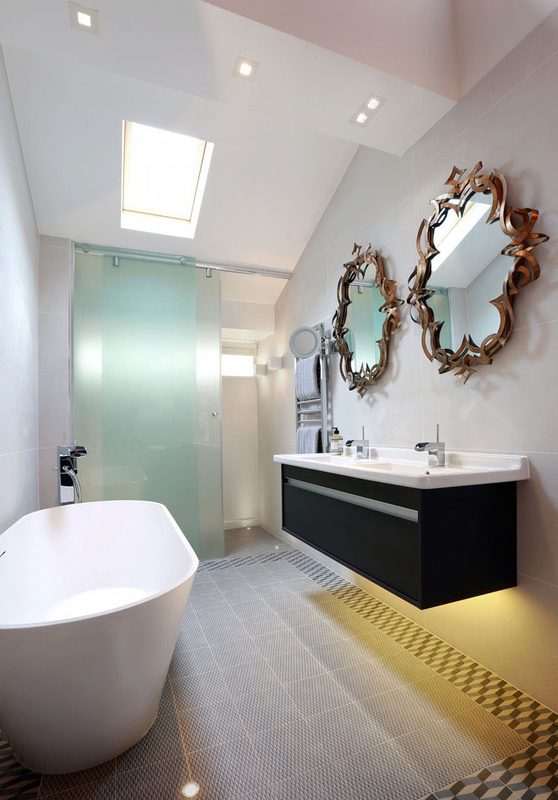 What is attractive in here is the pair of bronze mirrors which add an artistic touch to the bathroom. If you could see the before images of this space, you will be able to appreciate it more. But merely looking at how the renovation turned out is enough for us to see how beautiful the house really is. I like how it was decorated and its mix of patterns and textures. This home is a project by LLI Design who were able to come up with an interior that is not just beautiful but also comfortable and cozy. For sure, you also loved the items in it from the decorations to the furniture. Aside from that, what else do you love about this home?